Vladimir Putin’s hater set up a fake gravestone in the middle of the Russian city, Naberezhnye Chelny, and the act landed him in jail. The fake gravestone featured the president’s picture and the year 1952-2019 was written below it. The court sentenced Karim Yamadayev for 28 days behind bars citing “repeat violation of the law on holding public events” for his crime. According to BBC News, the offender was an activist who was staging a protest against Vladimir Putin’s bill on “sovereign internet.” Yamadayev thinks that the massive crackdown on internet rights was a violation to them, the Russian citizens and he believes that the bill is a threat to freedom of speech in their country. As reported by The Moscow Times, the lawmakers in Russia created two fake news bill and submitted it for Vladimir Putin to approve. The new laws were created to penalize people who disrespect the Russian officials and the other is for those who are spreading fake news. The bills were passed by Vladimir Putin last week, and as stipulated in the regulations, offenders can be jailed of up to 15 days. As it takes effect, all Russian internet and data would have to be directed and pass through a central hub that will be supervised by the Kremlin and this is what the protesters hate about the fake news bill. 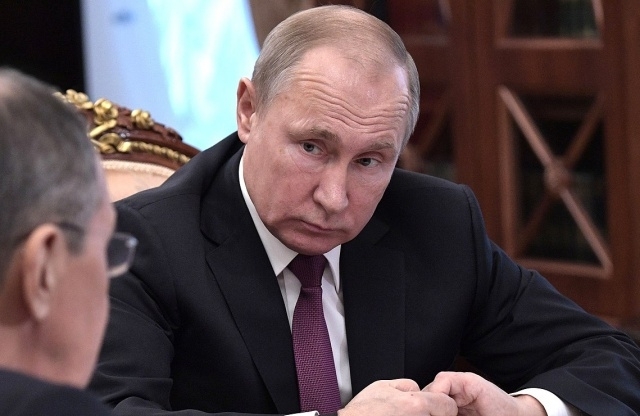 The reaction to the new bills was not pleasant so Vladimir Putin’s spokesperson said that the reception was bad simply because they did not fully understand why the new laws were signed. The spokesperson then went on to accuse the protesters of deception and misunderstanding. Further, Vladimir Putin’s spokesman said that contrary to the belief that the bills’ goal was to restrict online freedom, he said that rather than that “they were designed to ensure the internet’s viability amid potential aggressive steps in cyberspace against our country,” The Sun quoted him as saying.